Gloomhaven is widely considered to be the best board game on the market, which is why it has been notoriously hard to find at retail - especially without markups. However, today is one of those very rare occasions when you can score a discount on Gloomhaven if you act quickly. At the moment, Amazon has Gloomhaven in stock for $119.59 (15% off) with free shipping. Keep in mind that discounts on Gloomhaven have only lasted a few hours at most, so don't be surprised if you click on the link and it's back up to $140 or it's sold out. 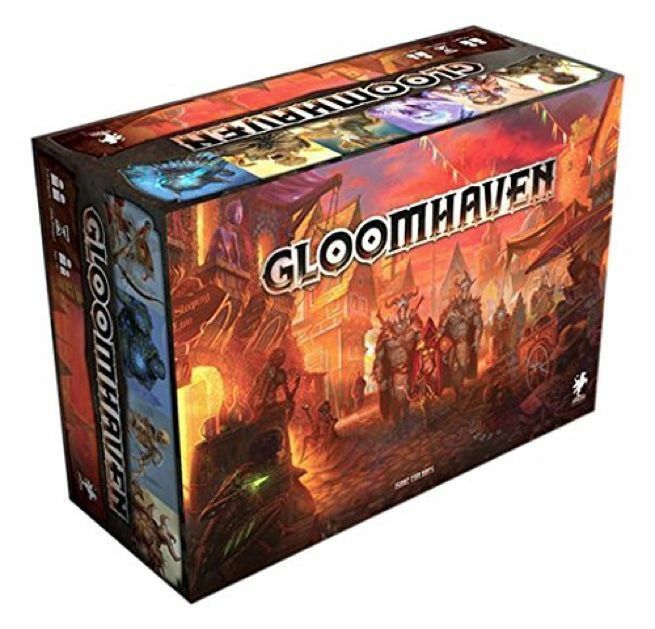 If you miss the deal, Gloomhaven can still be ordered at Walmart for the standard price. Basically, if you can't find a good DM for Dungeons & Dragons or don't want to invest the prep time, Gloomhaven is a great alternative. The games are very different mechanically, but there is definitely a crossover appeal here. Ideally, you'll be able to play both because, as many have pointed out, they scratch a different itch. The official description is available below. If you do pick up Gloomhaven, you might want to grab the removable sticker set for $11.95 (8% off). The pack contains "a replacement for every map, achievement, and enhancement sticker in the core game, and also includes replacement seals for character boxes, secret envelopes, and the town records book." An expansion called Gloomhaven: Forgotten Circles is also on the way, and can be pre-ordered here with a ship date of April 15th. It includes 20 new scenarios that take place after the original Gloomhaven campaign. It's covered by Amazon's pre-order guarantee, so you won't be charged until it ships and you'll automatically get any discounts that occur between the time that you order and the release date.